When we’re young, most of us can’t wait to grow up. This is especially true for teenagers, who are likely to be more stressed out than adults are. While being an adult comes with a ton of freedom, it also comes with plenty of responsibilities, including saving for a home, investing your money wisely, and general adulting. And, it’s not always easy to know the right path to travel down in order to reach your destination. Let’s take a look at everything you need to know about how to save for a house (and in general)! Investing: Where to put your money so that it works for you. Saving: Strategies to help you cut costs and watch your savings grow. Adulting: Good habits you should form to make sure everything stays on track. All three of these practices will help you get the money for your home (and help you keep it). If you’re smart about how you invest your money, you’ll be in much more stable position years down the line. This could mean the difference between buying a house and continuing to grind. Here are some of the best options you should consider. We kept this subsection vague because it really depends on what stocks you’re investing in, how diverse your portfolio is, and how long you plan to keep your money there. While we can’t tell you what stocks you should chase or what trends you should look for, we can tell you that investing in stocks is one of the best decisions you can make when you’re young. If you choose to go this route, make sure to contact a licensed professional to help you hit the ground running. Most people are taught as children to put money into their savings, but not everyone knows what interest rates to look for. If you have a normal savings account at a regular bank, you’re most likely making pennies every month. It doesn’t matter if you have $100 or $10,000– the point is that you’re not getting as much as you could. With a high-yield account, your APY could be over 2 percent, allowing you to get a much higher return on your investment than a traditional savings account. This isn’t something that will make you rich overnight, but it will help your money grow while you’re holding onto it. While it may sound unconventional to spend money when trying to save, the same concept applies here. If you have high-interest credit debt that you need to take care of (especially if you’ve racked up thousands of dollars), paying it off will not only save you money down the line, but it will also allow you to start saving more money sooner. So, if you find yourself paying a substantial amount in credit card bills every month, pay the whole amount off if you can. Luckily, saving is a lot more straightforward than investing. Rather than having to know where to put your money, you just need to take steps to make sure you have more money to put away. This one is difficult for most people because their current lifestyle is one they’re comfortable with. If you want to see more money in your savings every month, a simple way to get there is to reduce unnecessary expenses. Eating out is a perfect example of an expense that’s not always necessary. Even worse is the fact that most people don’t realize how much they spend each month on food from restaurants. Let’s take a moment to put it into perspective. Assume you go out to lunch from work three days per week. Your average meal (after tipping, of course) might cost around $15. $15 x 3 days per week x 4 weeks per month = $180 per month. As you can see, food like this adds up quickly. A good rule of thumb when you’re trying to save money is that if you don’t need it or it will not make you money, don’t buy it. You can apply the same rule to things like going to the movies, buying alcohol, etc. as long as you make sure you spend a little on entertainment to avoid drastically reducing your quality of life. Having a hard time saving extra cash? You could always find a way to make more money. Since many of them involve hobbies, the possibilities are nearly endless. If you’re looking for a side hustle for the weekend, popular options include driving for Uber, flipping items (often clothing and electronics) on eBay, and even picking up a part-time job to work when you’re available. If those don’t sound appealing to you, you could try and score a raise from your boss. While it’s always difficult to talk to your employer about money, there’s always a chance that it may pay off. This is especially true if you’ve spent significant time with the company or have merit to use as leverage for a small (or even moderate) increase in pay. 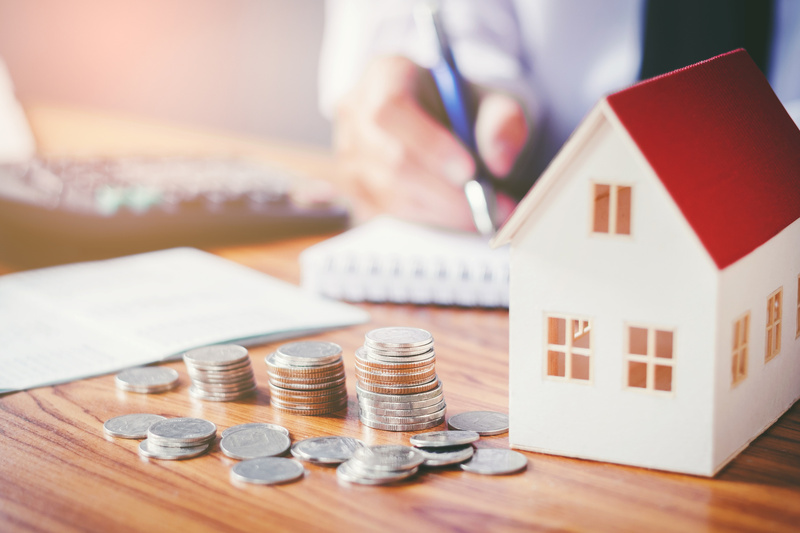 While it’s far easier to say “just make more money” than it is to do, taking steps toward putting more cash in your pocket can go a long way when saving toward buying a house. This section is just as important as the others. It’s one thing to invest your money or find a way to save more, but it’s another thing entirely to manage the rest of your life to make sure things go smoothly. These principles apply whether you’ve already saved enough and are ready to move into your house or not. This is by far the most important step you can take. Once you’ve made the leap of faith and put a down payment on your home, it doesn’t mean you can start living however you want. By creating a solid budget, you’ll know exactly how much you need to spend on bills and necessities and how much you have left for savings/entertainment. As long as you stick to it, you shouldn’t have anything to worry about when it comes to your finances. Late fees of any kind are the equivalent of someone taking a wad of cash out of your back pocket. Luckily, however, they can be avoided with careful planning. Some late payments come with drawbacks other than just a fee. In the case of your credit score, you could experience a drop in points if you miss consecutive payments. By never missing your minimum monthly payment, you won’t experience a ding in your credit score. There are also other practices you should incorporate to make sure it stays as high as possible. Things like disputing inaccurate charges, keeping your credit utilization low, and foregoing opening new lines of credit can all keep your score where you need it to be. The longer you have debt, the more you’re going to spend in total. It’s that simple. You should prioritize cutting down the amount you owe, whether it’s toward student loans, a car payment, or something else. The same method can be applied to your home’s mortgage, as well. You can use this calculator to see what viable payment strategy saves you the most money. This is something most of us can learn from. For example, if you’re looking for a new car, buy a used one of similar quality to save extra cash. You should also start looking for deals when you purchase necessities like food and clothing. You’ll be surprised how much you can save. With the above information about how to save for a house in mind, you’ll be well on your way to securing your dream home. Want to learn more tips lifestyle tips to help make things easier for you? Make sure to check out the rest of our blog!